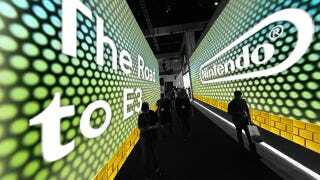 Last year Nintendo produced what I’d consider their most successful E3 event ever (and that’s saying something considering the company has a history of great E3 showings). A lot of that energy has to do with their resolution as a company to do things differently. We saw the immaculately edited Nintendo Direct live stream, with information and content given to us in the most elegant way possible, alongside a massive Super Smash Bros Invitational, plus the Treehouse: Live event that treated us to a seat next to designers talking about and playing the games that were/are in development. All-in-all a well rounded showing. One for the books. As we are now a month from E3’s June date, and having the majority of last year’s directs and hyped games behind us (or pushed into next year), it leaves me pondering what Nintendo has this coming year that could create a hype-tastic E3 presentation. The Wii U already has it’s Mario and Smash and Kart, plus a few superb new games and IP’s that will be available soon. The Wii U has hit it’s groove, however shallow it might be, and the 3DS is still a force to be reckoned with. It leaves me wondering what else could the big N pull out of their hat to make next year’s E3 as successful as the past few? Nintendo is working on a new Star Fox. Kotaku’s own Stephen Totilo has even played it with the big man, Miyamoto himself, but we never got the big reveal and fanfare that franchises like those usually get. We have seen literally no gameplay of it. I have no doubt that Fox will get the introduction he deserves next E3, complete with voice acting, maybe Crystal, and many barrel rolls. We’ve also seen the new Zelda ourselves. Even though that’s been pushed into next years release calendar, I’m sure we’ll be seeing some gameplay and in-depth coverage from that. Yoshi’s Wooly World and Mario Maker were both out in force at last year’s E3 and have received plenty of coverage in Nintendo Directs so I can’t imagine them making appearances past playable versions on the floor. Nintendo’s been on a demo kick lately, so maybe we’ll see something like that available during the event for one or both of the titles. We can also assume that we’ll be seeing the new and improved Nintendo Account system. With Club Nintendo officially dead and gone, there is a desperate need for them to replace that gap, and E3 seems to be everyone’s guess at the reveal. How this will take shape is anyone’s guess, but we can assume it’ll involve something linked to the NNIDs and hopefully as if not more flexible as Microsoft’s and Sony’s offerings. I’d say it’s a fair bet we’ll see the return of one of these this year. I can’t predict is whether or not Nintendo will give one franchise center stage over the other, or whether it should. Metroid and F-Zero are some other big titles that many hope will be getting their day in the sun at E3 2015. Despite long periods between releases, the only console to not have a Metroid title is the N64. I’d be surprised if Nintendo didn’t pull out all the stops to create the perfect, moody Metroid hype trailer for the Wii U. F-Zero, the elusive title that we haven’t heard from since the GameCube generation, saw a glint of hope Mario Kart 8’s fantastic DLC offerings. Nintendo might have been more than teasing it’s fans with the Anti-Gravity F Zero tracks and Blue Falcon racer; it could have been testing the waters for the Captain’s return while giving it’s development teams a chance to practice at zero gravity track making. Codename S.T.E.A.M. didn’t end up being the big title Nintendo hoped and even though the 3DS hasn’t seen any big titles in some time but console is still alive and kicking, Nintendo will be remiss to not show a few new big titles. Beyond expanding whatever they have for the new Fire Emblem, that is. We don’t currently have any main-line IP releases scheduled for it, and it seems to have taken the back seat to the Wii U.
Hopefully Nintendo will take some time to really address the abysmal Amiibo situation (Please. Nintendo. Can you hear me?!). They seem fine making new ones for other games, but the one’s already released are in such short supply (no supply?) I’d hate to hear they aren’t going to help out the fans that are collecting them (a.k.a. me). They’ve attempted to explain something, but the answer they give isn’t really clear as to what is being done about it. We’ll be seeing more Marth Amiibo sometime in the future, but what about other rare finds Like Rosalina, MetaKnight, Lucario, and Shulk? More Smash DLC will come around. The obvious, Lucas, will more than likely be released around that time, and many are speculating a Wolf reveal along with the new Star Fox game. There have even been rumors of a return of Fire Emblem’s Roy as well as Capcom’s Ryu of Street Fighter fame (I’m excited for both of those, whether or not I’d play them). We’ve also heard rumor of some classic stages (thanks to some fans data-mining the latest update) making a return as well. DLC for Mario Kart 8. There are rumors for this from the latest Investor Meeting. Nintendo could really extend the shelf lives of this evergreen title as well with DLC. Even though that would be torture on my wallet I think we’d all be happy to see that happen. We know they won’t be talking much about smart devices, but they are making games for smart devices. We could hear some info on their upcoming Mobile Games through their partnership with DeNA. I expect they probably will just glaze over it, though I can’t imagine they’d ignore it completely. Info on the new Fire Emblem title, probably even so far as providing a hard release date. I’m sure that playable versions will be available on the floor, but a real surprise would be a playable demo available day of. What really made Nintendo’s E3 memorable was more than just the Direct though; it was the tournament and Treehouse events that accompanied it. Treehouse: Live proved to be very popular last year and I have no doubt that developers will be around to play their games with us again this year. There’s going to be a hole where Nintendo’s big Smash Bros Invitational was. Without a major competitive game how could they create an event that produced as much audience engagement as the Smash Invitational did? Does Nintendo need a stunt to round out their E3, seeing as it’s strayed from the traditional showings like Sony and Microsoft, or can they manage with just a direct/digital event? That’s what makes E3 exciting though. We can’t really levy any expectations here on Nintendo this year, which is both the scariest and most exciting times to be a Nintendo fan. We will undoubtedly be chomping at the bit in a months time, as the opening animation rolls out for their showing, excited for whatever they reveal. Update: Thanks to Nintendo’s interesting and funny little teaser we now know that there will be an expanded Treehouse Live event, along with the Nintendo Quarter Quell... I mean Nintendo World Championships. Sounds like they are keeping to the successful formula from last year, which is fine by me. Have any thoughts? Be sure to engage in the comment section below. I’m sure there’s plenty of love/flaming to be done! JpSr388 is a regular contributor to TAY, Kotaku’s community-run blog. When he’s not fawning over gaymer boys you’ll find him unjustifiably gushing over whatever plastic Nintendo is peddling lately. You can read his articles here, and be sure to engage in the rest of the great editorial at TAY!